Super nice experience! very happy with my new car and the service by Aaron and Alejandra is excellent! Highly recommended! I do not enjoy at the process of purchasing a car. I drove from 2 hours away to look at a specific car and Christopher Doyle @ Brandon VW made my experience great, he was not the typical car salesman who pushes you around and doesn't care. He was very friendly, polite, accommodating, honest and sincere. These are all traits I respect in life. I had such a great experience with him that I drove 2 hours again 2 days later and bought another car. 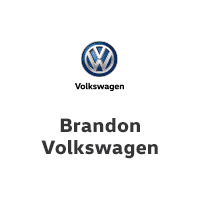 Kudos to Brandon VW for hiring this remarkable young fellow. Thank You Christopher! I am however chapped that this dealer charges $750 fee if you pay cash for a car. WOW.... All because they don't get any kick backs from the bank which the financial guy even told me face to face when I asked what this fee is for and didn't even care. Now I have to wait 4 months to pay them off or I get a fee of $400 for early payoff. The only reason I came back to buy another is because of Christopher. For that reason is why I am not awarding them 5 stars. They fixed my airbag recall on my Volkswagen CC. The staff is very friendly. Great car at a great deal. I want to thank Al and Rashard for setting up a date and time to look at this car (b5047). I was coming from out of town to look at this and they set all expectations. Had some minor detail to look over but with the work from this team, the issues are set to be fixed. Cant complain about that. I drove all over looking at this same year and model with no luck. Test drove this and i knew right away i wanted it. They got the deal rolling for me!!!! I can say it was worth the drive as they had so many options to chose from. Thanks again guys, you will always have my business and my family's. Looking forward to seeing you on the 9th to get everything squared away. Again everyone, WELL worth the drive.